Dragon's Dogma, a Japanese role-playing game with western sensibilities, seems to be doing just fine in its home country. Much better than fine, as it turns out: Dragon's Dogma has moved 302,000 units on the PS3 in Japan, while the Xbox 360 version has sold 29,000, according to Media Create. The company notes that Dark Souls, to which Dragon's Dogma has been compared, sold a combined total of 280,000 during its launch week. 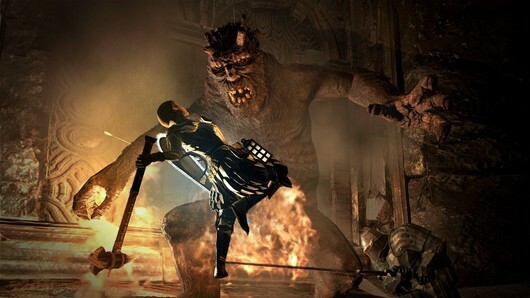 Dragon's Dogma moves 330,000 in Japan originally appeared on Joystiq on Thu, 31 May 2012 18:00:00 EST. Please see our terms for use of feeds. Aliens: Colonial Marines may have been delayed all the way until February 12 of next year, but at least we can take solace in knowing that the Collector's Edition leaked back in January is not only the Real Deal with Bill McNeal, but is even more legit than previously indicated. For $100, the Collector's Edition includes a Powerloader vs. Xenomorph statuette and a USCM dossier containing a mission brief, a schematic of the USS Sephora, a recruitment card, iron-on badges, recon photos and a USCM graduation certificate. It also comes with digital goodies, not the least of which is the ability to play as the film's Apone, Drake, Hicks and Hudson. You'll also receive Ripley's flamethrower, "additional marine customization options," two bonus multiplayer weapons ("Sonic Electromagnetic Ball Breakers" and "Phase Plasma Rifle") and an exclusive level, the USCM Academy Firing Range. Pre-ordering the standard edition from Gamestop will net you the four bonus characters, customization options and Ripley's flamethrower, but none of the other content/toys. You will, however, have an extra $40 in your pocket, and won't need to explain the Exosqaud figurine on your desk. 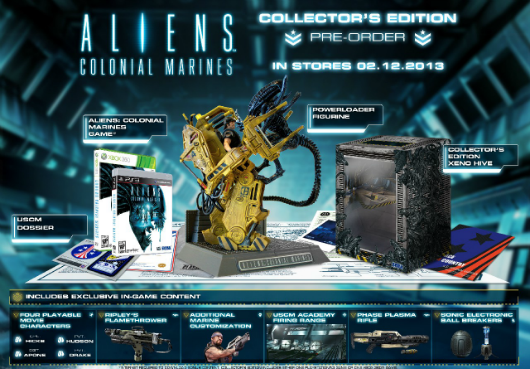 Aliens: Colonial Marines Collector's Edition, Gamestop pre-order bonus now official originally appeared on Joystiq on Thu, 31 May 2012 17:30:00 EST. Please see our terms for use of feeds. Ex-Infinity Ward employees Jason West and Vince Zampella have settled their lawsuit with Activision. "All parties have reached a settlement in the dispute, the terms of which are strictly confidential," the LA Times' Ben Fritz reports. 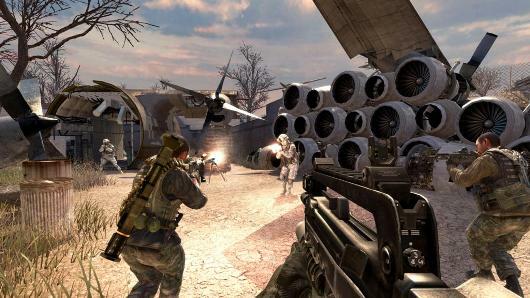 West and Zampella sued Activision in 2010, after Activision fired them and before they could collect all the promised royalties from the launch of Modern Warfare 2, they claimed. Activision paid $42 million to the Infinity Ward Employee Group -- which includes 38 current and former IW employees -- in May, as part of a separate lawsuit. The payment wasn't a settlement, but was part of Activision's own investigation for its counter-suit against West and Zampella, filed with their new publisher, EA, as a defendant. EA and Activision settled their suit in May, while West and Zampella's claim rose to $1 billion. Claims in all three lawsuits are now dismissed. There is no word yet on the terms of the settlement, and they may not ever be revealed, Fritz says, although this observation from the court room may provide a bit of insight into the final outcome: "Jason West is in court and smiling." Update: Respawn Entertainment issued the following statement: "All parties to the litigation have reached a settlement of the dispute, the terms of which are strictly confidential." Update 2: Activision issued a statement as well: "Activision Blizzard, Inc. (ATVI) today announced that all parties to the litigation have reached a settlement of the dispute, the terms of which are strictly confidential. "The company does not believe that the incremental one-time charges related to the settlement will result in a material impact on its GAAP or non-GAAP earnings per share outlook for the current quarter or the calendar year, due to stronger-than-expected operating performance in the current quarter." Update 3: Not to be forgotten, EA has chimed in, too: "Activision's refusal to pay their talent and attempt to blame EA were absurd. This settlement is a vindication of Vince and Jason, and the right of creative artists to collect the rewards due for their hard work." West, Zampella settle with Activision in Infinity Ward lawsuit [Update: Acti, Respawn, EA comment] originally appeared on Joystiq on Thu, 31 May 2012 16:36:00 EST. Please see our terms for use of feeds. Apparently Naughty Bear didn't kill all the other stuffed bears his first time around. 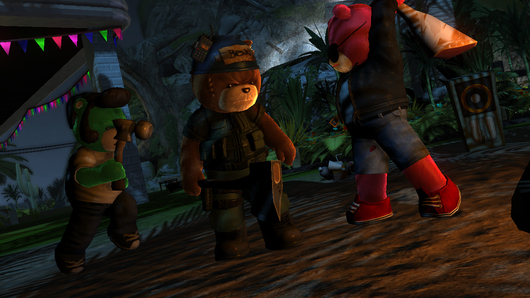 505 Games has announced a new Naughty Bear game is in the works for this fall: Naughty Bear: Panic in Paradise. Naughty Bear: Panic in Paradise is a downloadable title for Xbox Live and PSN, and features "a completely over-hauled combat system, brand new leveling up system, equipment customization with thousands of combinations, and over 30 mission set across 11 distinct areas of Paradise Island." The titular bear is once again angry at his peers - this time for not inviting him on vacation to Paradise Island - so he decides to kill them all again. Look, Bear, we don't want to tell you how to live your life, but maybe if you didn't kill everyone so much, you'd get invited on more vacations? Just a thought! Naughty Bear: Panic in Paradise rips the stuffing out of XBLA, PSN this fall originally appeared on Joystiq on Thu, 31 May 2012 16:00:00 EST. Please see our terms for use of feeds. 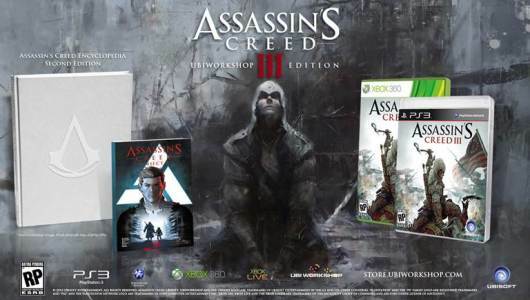 The Assassin's Creed 3 Ubiworkshop Edition will include the Assassin's Creed Encyclopedia Second Edition and Assassin's Creed Subject 4, a compilation of the graphic novels The Fall and The Chain. It will also include the game, but when you have an encyclopedia and some comic books, what self-respecting nerd needs video games? The Ubiworkshop Edition is for Xbox 360 and PS3 and costs $100 in a special pre-order price, valid through July 4, and $110 following that completely random day, exclusively on Ubiworkshop. Ubisoft promises this edition includes more than 500 pages of narrative content: The encyclopedia alone runs $50 and each comic is $20 separately on Ubiworkshop, so on top of a $60 game, this edition is a steal. Assassin's Creed 3 Ubiworkshop Edition has 500 pages for $100 originally appeared on Joystiq on Thu, 31 May 2012 12:30:00 EST. Please see our terms for use of feeds. The next installment in the Gears of War franchise will be the cover of the July issue of Game Informer. The final name and cover art won't be revealed until next Monday, during Microsoft's E3 press conference. 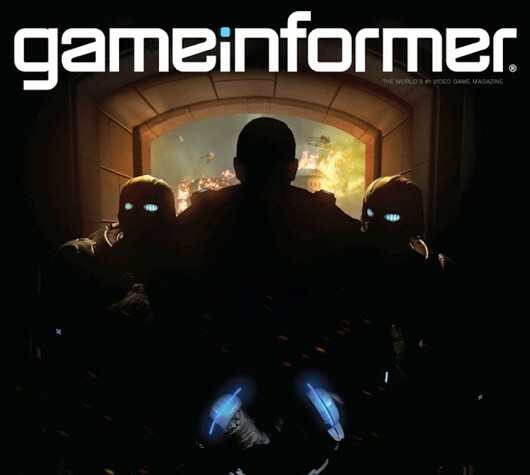 Next Gears of War graces Game Informer cover, full reveal Monday originally appeared on Joystiq on Thu, 31 May 2012 12:03:00 EST. Please see our terms for use of feeds. Mad Riders is fast-paced, but it lacks the personality to be anything more than a mediocre arcade racer.